Chief Keef’s a free man again ... sorta ... TMZ has learned he's been released from jail in Chicago and is supposed to check into rehab in California for his weed problems. As TMZ reported … the 18-year-old rapper had been on probation for speeding ... but landed back in court this week after testing positive for marijuana on three random drug tests. A Chicago judge ordered Keef to rehab ... 'cause he clearly can't stop smoking bud. But ... there's still the matter of his community service ... which he'll begin serving in Chicago after he finishes his stint at the California facility. Keef's lawyer tells us... Chief left jail around 2:15 P.M. CST today … and his lawyer tells us he’ll arrive in LA either tomorrow or Sunday. 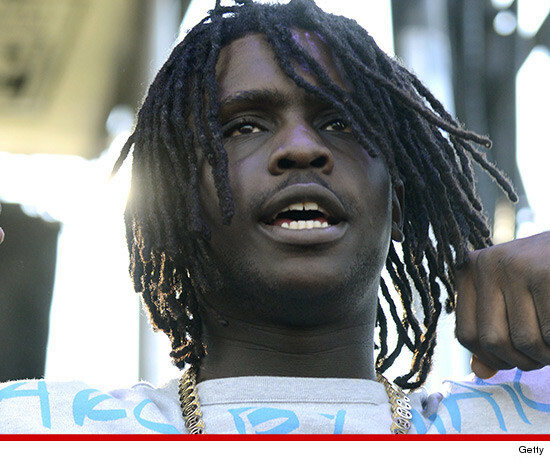 Chief Keef -- My Community Service is Horsesh*t!! !